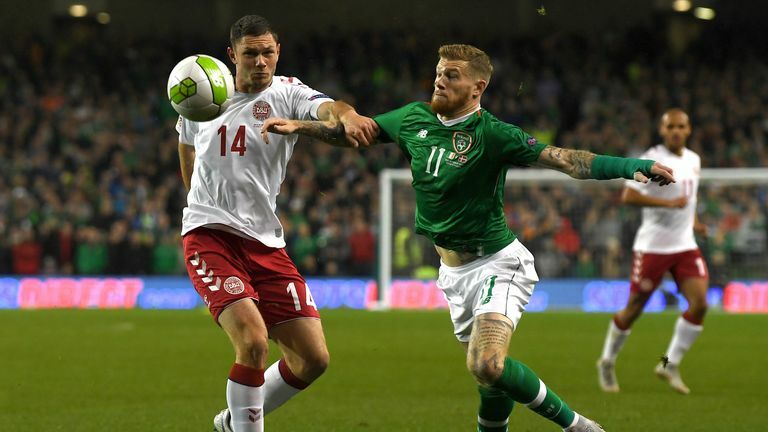 Martin O'Neill has pointed to James McClean's willingness to play through the pain barrier as an illustration of the enduring commitment and desire of his Republic of Ireland players. Ireland face Wales in Dublin on Tuesday night knowing anything but victory could leave them looking at relegation to Nations League C, without a win in four competitive outings and with their critics calling for change. 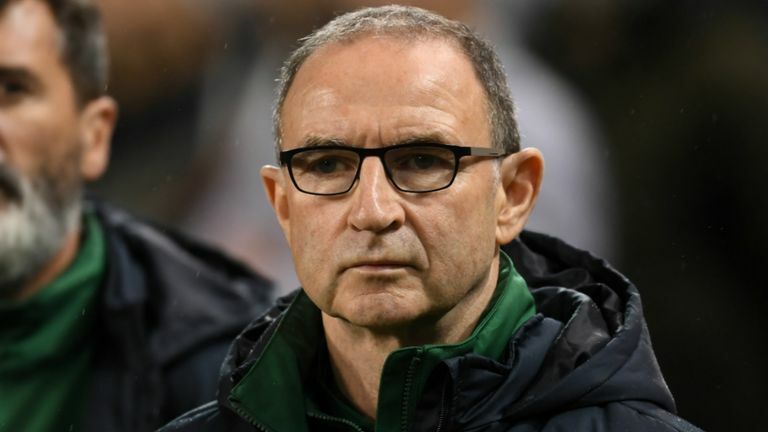 O'Neill admits they lack the technical quality of some of the sides they come up against, but he has little doubt about their character and willingness to fight for the country, as personified by Stoke midfielder McClean. He said: "The one thing about the players, I feel as if they want to play for their country and that's really, really important. "Most players do, to be fair, but this group of players, certainly in my time here, have shown an incredible willingness to do it. "None more so than James McClean, who broke his wrist in training the day before we played Wales and was actually looking at an injection to see if he could play in the game." O'Neill added with a smile: "James is obviously sometimes not right in the head but he's brilliant for us, he's absolutely brilliant for us and he epitomises everything that this side has been about for the last few years. "Technically, we're short, we know that. On technical ability, we're short, and I think everybody can see that. "But we're not short of heart. We wouldn't have got where we have unless these boys wanted to do everything they possibly can when they're here wearing the shirt." Already robbed of seasoned campaigners Seamus Coleman, Stephen Ward, Robbie Brady, James McCarthy and Jonathan Walters through injury, O'Neill has since lost young midfielder Callum O'Dowda, who complained of dizzy spells following a collision during Saturday night's goalless draw with Denmark. He has been forced to dig deep into his resources in the competition to date and has also continued to experiment with a three-man defence, but he strongly refutes the suggestion that he has written off the Nations League in the wake of last month's 4-1 drubbing in Wales. O'Neill said: "We set out in the competition to try to do well. We were well beaten in Wales, but we have the chance now to win a match at home, so let's do it, let's try to win it. "If we do that, we're right back in it."